The Honorable Stephen G. Breyer, associate justice of the Supreme Court of the United States and Dana-Farber Trustee, was the keynote speaker at the 25th anniversary recognition dinner. To mark its milestone 25th anniversary, the Dana-Farber Society (DFS) welcomed a guest from one of our nation’s institutions: the Supreme Court of the United States! 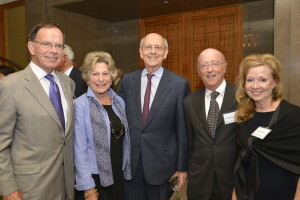 The DFS, a special group of individuals who have included a gift to Dana-Farber and the Jimmy Fund in their wills and estate plans, welcomed the Honorable Stephen G. Breyer, associate justice of the Supreme Court of the United States and Dana-Farber Cancer Institute Trustee, as keynote speaker for the 25th anniversary recognition dinner in June. 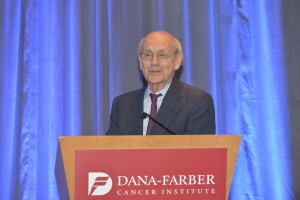 “My association with Dana-Farber as a Trustee is the second best in my life— with the first being my wife,” Breyer told more than 250 guests – the largest dinner audience to date. 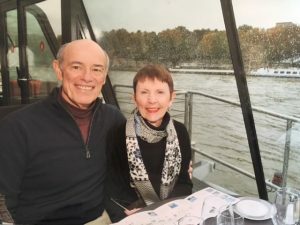 His wife, Joanna Breyer, PhD, is a retired psychologist who worked in Dana-Farber’s pediatric psychosocial services for decades. Her experiences at Dana-Farber have inspired a book she is currently writing for parents of ill children. After mentioning the couple’s connection to Dana-Farber, Breyer shared interesting details on “a day in the life of a Supreme Court Justice,” and participated in a lively Q&A session with guests. 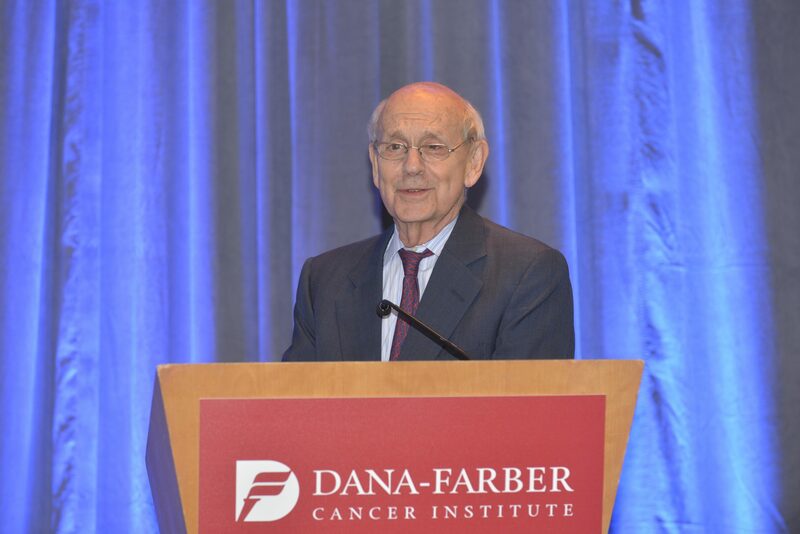 Breyer’s remarks capped a celebratory evening marking the important work the DFS has supported in a quarter-century. 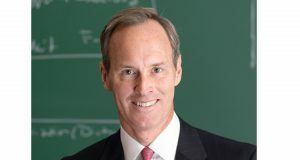 The Society began in 1990 with a group of 90 thoughtful donors who knew that gifts to Dana-Farber in their estate plans would support the future of the Institute’s lifesaving work. Twenty-five years later, there are more than 900 DFS members of all ages from 32 states and three countries! Learn more about the Dana-Farber Society or making a planned gift to support the future of Dana-Farber and the Jimmy Fund.